Painting Mixed Media on Canvas | 42" x 90"
Painting Acrylic on Canvas | 72" x 144"
Painting Acrylic on Canvas | 46" x 70"
Painting Acrylic on Canvas | 42" x 90"
Painting Acrylic on Canvas | 34" x 58"
Painting Acrylic on Canvas | 48" x 72"
Painting Acrylic on 100% Acid Free Reg Paper | 30" x 36"
Painting Acrylic on 100% Acid Free Reg Paper | 30" x 48"
Painting Acrylic on Canvas | 45" x 40"
Painting Acrylic on Canvas | 90" x 42"
Painting Acrylic on Canvas | 45" x 45"
Painting Acrylic on Canvas | 72" x 72"
Painting Acrylic on Canvas | 32" x 32"
Painting Acrylic on Canvas | 20" x 24"
Painting Acrylic on Canvas | 48" x 18"
Burst of colours on the canvas gives me a sense of accomplishment and ignites a mystical power within me which produces feelings like never before. These feelings are akin of creating a whole new universe. It transports me to an alternate reality and aid in surviving this mundane reality of life and death. I refer to my paintings as ‘endless hope’ because that is the feeling they imbue. They provide relief from the mental distress and hopelessness of the everyday life. Painting has come down to be the paramount purpose of my living. 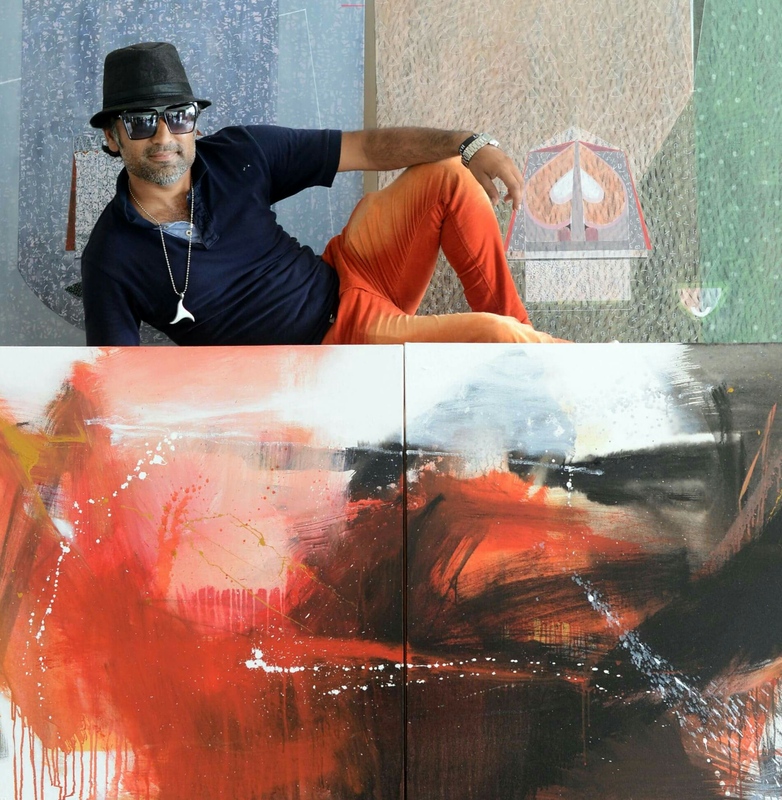 Gulrez Ali is a well-established artist known for his abstract painting in India and different parts of Europe. He completed his education at Barakattullah University, Madhya Pradresh. He has been a part of around thirteen group shows in India and seven international group shows. In addition, his collections are displayed in a prominent art gallery in Europe. Ali’s paintings have been covered by many famous art magazines as he has been recognised as an eminent contemporary artist by art critics.